Bamboo Dinnerware for kids. 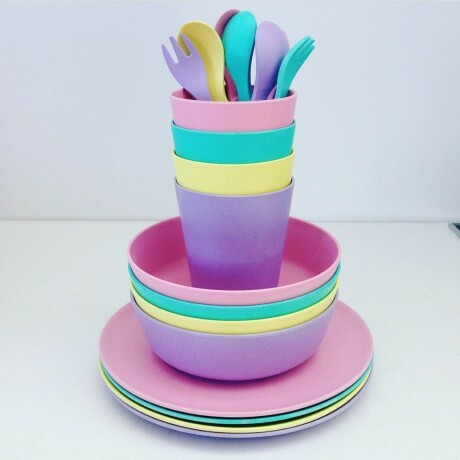 Affordable yet stylish and completely non-plastic bamboo dinnerware for kids. Made from natural, renewable and sustainable materials, our bamboo dinnerware sets are non-toxic and biodegradable. This gorgeous 5 piece set from Bobo&Boo is a must have if you are a health conscious and environmentally friendly parent. These eco-friendly dishes are made primarily from bamboo, and are completely plastic free and 100% biodegradable.Even the packaging is 100% biodegradable so you can pop the box straight into the compost after unpacking it. 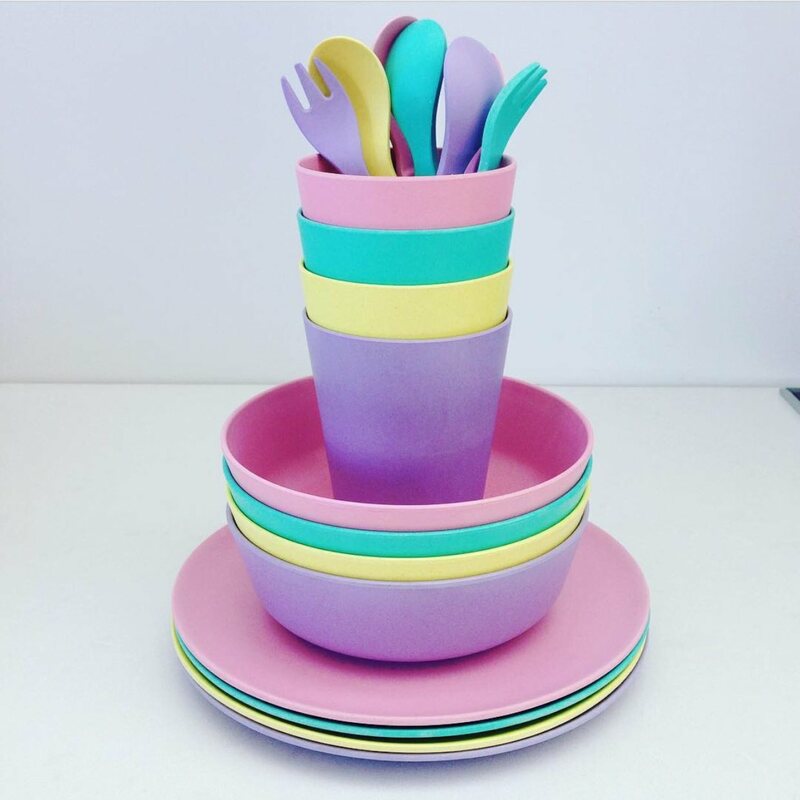 They are top-shelf dishwasher safe, however cannot be used in the oven or microwave.BPA and phthalates free and FDA & LFGB food safe approved, this set would make a unique yet practical and thoughtful gift.